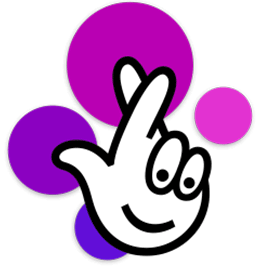 of the three most popular lotteries in the UK drawn four times a week. The highest prize in Thunderball is not a mega jackpot but your odds to win are much better. For a mere one pound sterling you can win half a million. The lottery offers in total nine levels. To hit one Thunderball number is enough to win the minimum. 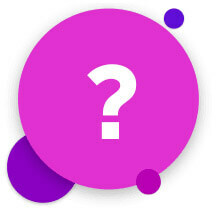 Below you can find all information about Thunderball lottery. First, you must pick five main numbers from 1 to 39 and one more from 1-14 called Thunderball. Alternatively, you can choose the Lucky Dip to ask the generator to pick the numbers automatically. When buying multiple lines, use a similar procedure. Last but not least, choose the days on which you want to play and the number of weeks. Each draw includes five main numbers plus one Thunderball number. Draws take place every week on Tuesday, Wednesdays, Fridays and Saturdays at 10:35 GMT. Tickets are accepted until 7:30 p.m. (GMT) on the draw day. Online players of Thunderball should check the time of closing ticket sales with their online lottery provider. One Thunderball line costs £ 1. The top prize in Thunderball lottery amounts to £500.000 for those is one by matching all 5 main numbers and the Thunderball number. The table shows all winning combinations. The more numbers you hit – the more you win. One Thunderball number is enough to win the minimum prize. You can look into our special winners section. Where you can find a lot of winners stories including Thunderball lottery winners. UK Thunderball can be played in a group of friends. Simply set up a team of people, put your money in one pot to raise your chances to win the dream jackpot. For more information and manual about lottery syndicate check our a special page focused on this topic. £50,000 up to and included: If you are lucky enough to win a larger sum of money you must go to a post office to receive a check (up to £500 may be paid out in cash). Remember to take with you two ID documents. If playing online you will receive your winning on your profile’s registered account. Detailed guide to fill out online tickets is included in the review of our recommended online lotteries. Below you can see a thunderball lottery ticket and a brief guide to complete the ticket to take part in the game. Tick the day/s in the week on which you want to play. Bring the ticket to a service person who will return you the completed ticket with a supplementary game. You can buy the paper tickets for the Thunderball draw from any of the local retailers. You just find a shop cooperating with the lottery and you can bet. The shops are almost in any place in the UK. Online playing is possible over the official website of the lottery. 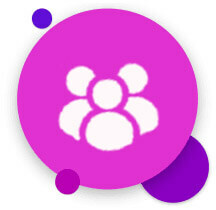 Simply log in or register your lottery account and you can start betting. Alternatively, you can use the National Lottery mobile application. For playing Thunderball online you can use unofficial lotteries. They all have a license and are completely legal. Compared with the lottery’s official website, they offer numerous advantages. To disperse your potential doubts about the credibility of these providers we have tested all of them. The results of the tests including our own experience are described in our reviews. It is only up to you to choose the one you prefer. In the early stages (the very first draw was held on 12 June 1999), Thunderball was drawn once a week, on Saturdays. 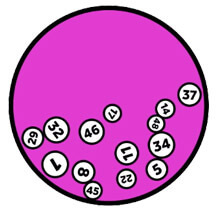 On 23 October 2002, a new Wednesday draw was introduced. Nothing changed until November 2009 when Thunderball was reshaped. Thunderball began using a new machine, Smart play Halogen II. One year later, on 12 May 2010, five more main balls were added, taking the total from 34 to 39. The jackpot doubled to £500,000 and an extra tier for matching just the Thunderball was introduced. Two days later a premiere with the new rules took place including a new draw on Friday. On 25 January 2018, a new Tueasday draw was introduced. More detailed history about Thunderball you can find at our special article.